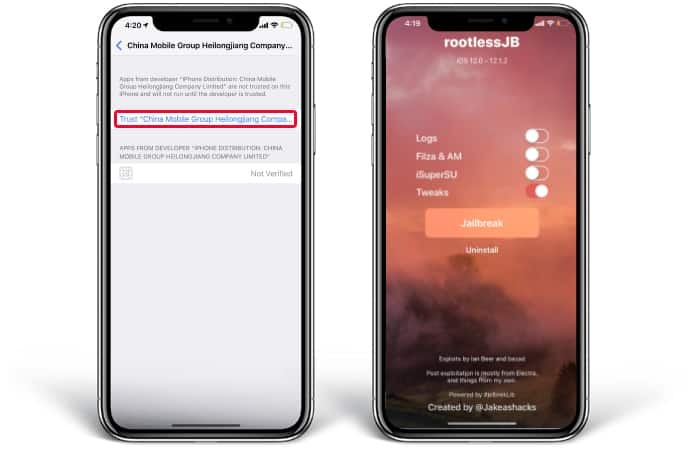 The rootlessJB jailbreak release for iOS 12 to iOS 12.1.2 has created quite a buzz in the jailbreak world. While the tool is SSH-based and is developer-friendly, it has not prevented others from running iOS 12 on iPhone from making an attempt to jailbreak. Unlike the typical jailbreak tool, leveraging rootlessJB for jailbreaking your handset is more tedious and challenging. And because it is not going to function like a standard jailbreak, the procedure for injecting code and installing Cydia isn’t straightforward as well. Also, there’s no root access available, and you won’t be able to get your hands on the many modifications that you could with a normal jailbreak. 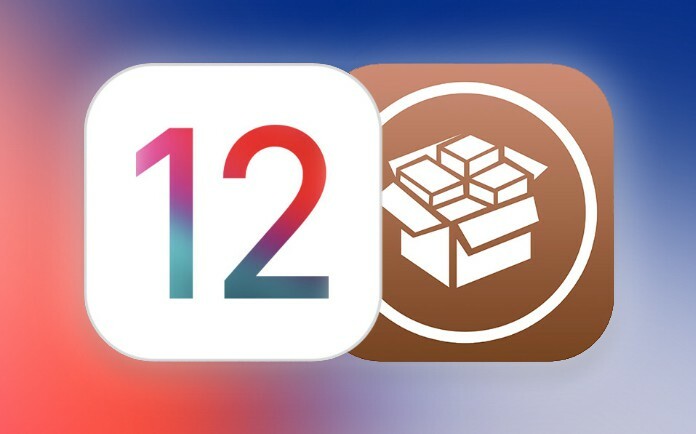 Nevertheless, if you really want to go ahead with rootlessJB to jailbreak your iOS 12.1.1 to iOS 12 firmware equipped device, follow these steps. As of writing, rootlessJB can jailbreak iPhone 6s, 6s+, 7, 7+, SE, 8, 8+ and iPhone X. However, it does not work for iOS devices that are A12 powered like the 2018 iPad Pro, XS Max iPhone, XS iPhone or XR iPhone. We’ll tell you when a jailbreak is available for those. rootlessJB will also jailbreak every other iPad, just not the one with A12 Bionic chip. Step 1: Download rootlessJB by going to ignition.fun on your iDevice running iOS 12.1.2 to iOS 12. Use the search function on this site to search for the tool. Tap “Get” and wait for the application to download and install on your device. Step 2: Trust Certificate by going to Settings –> General –> Device Management. Tap the name of the developer and agree to trust the certificate. Without doing so, you won’t be able to proceed with the jailbreak. Step 3: Use rootlessJB to jailbreak iOS 12 to 12.1.2. To do so, place the device in Airplane mode, then launch rootlessJB and make sure to enable the toggle for “Tweaks.” Then tap on Jailbreak and wait for the tool to finish the process. After these three steps, the iPhone will respring. If it restarts, and shows an Apple logo (), the process wasn’t successful. Try again if that happens. We’re not sure if rootlessJB indicates the revival of the iOS jailbreak community, but it sure is an exciting tool to use.